Could David Lynch’s Cryptic Tweet About ‘Twin Peaks’ On Showtime Hint At A Possible ‘Twin Peaks’ Revival? The tweet features a bizarre video containing a shot of Laura Palmer, the young woman whose murder lies at the heart of Twin Peaks, followed by the first few seconds of the show’s opening credits. Could this mean that when Lynch says, “It is happening again” (a clever reference to the show) he is referring to Twin Peaks itself? Lynch has been known to drop riddles and teasers about his work in the past, and there are some clues hidden in his tweet that suggest this might be the case. This isn’t the only evidence that Lynch’s little Twitter puzzle might actually hint at a possible Twin Peaks revival. At one point during the video, you’ll notice that the word “Showtime” appears across the screen. Some fans have suggested that the word “Showtime” could refer to the fact that it might be “show time” for a Twin Peaks revival sometime in the future. Others have pointed out that “show time” is something that people say in a theater right before the curtains go up. Anybody remember a little place that also has curtains? That’s right, the iconic Red Room, located in the surreal Black Lodge, is famously covered wall-to-wall with curtains. 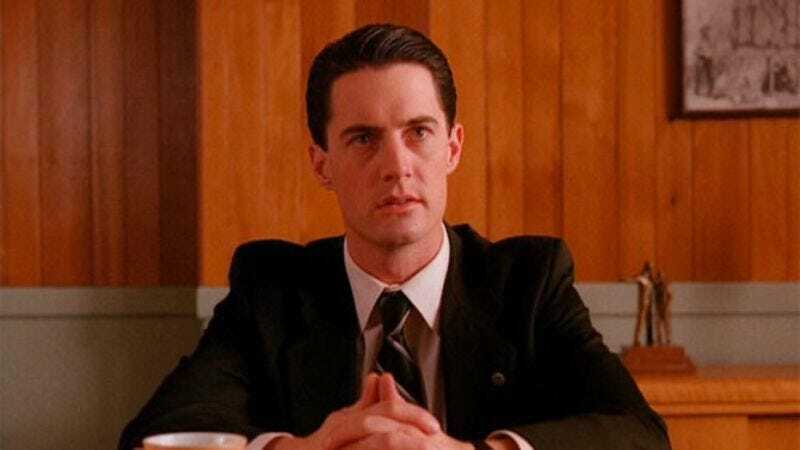 It is entirely possible that the word “Showtime” could be a reference to the fact that Twin Peaks fans can expect to see the curtains of the Black Lodge once again…possibly during a Twin Peaks revival! Perhaps the most mysterious part of the video is the enigmatic and slightly disturbing presence of the number “2016.” What is Lynch trying to tell us with this number? Is 2016 some kind of coded message referenced at some point during the series? Could it be a set of geographical coordinates? It’s hard to say at this point, but there’s no doubt the incredible crowdsourcing machine that is the internet will have an answer for us soon. In the meantime, all we can do is puzzle over Lynch’s mysterious tweet and cross our fingers that this cryptic message about Twin Peaks on Showtime somehow translates to “Twin Peaks is coming back to television sometime soon!” Dale Cooper fans can only dream!